Lyudmila Putina is the former wife of the Russian president Vladimir Putin. She was married to Vladimir back in the year 1983. The couple has spent about 31 years together and now they are divorced and are living life separately. Lyudmila Putina after her divorce with Putin in 2013 is now married to 37-year-old Businessman Artur Ocheretny who apparently happens to be almost 20 years younger than her. So far there is no rumors or news about the new couple splitting. Stay with us for more detail. Caption: Lyudmila Putina in a conference. Lyudmila Putina, also known as Lyudmila Shkrebneva used to be a flight attendant by profession in the 1980's. She met the love of her life, Vladimir Putin, in a theater through a mutual friend. On the first day of the meeting; they bonded pretty well and started seeing each other very often. By the year 1983, they were very emotionally attached to each other and got married. In their years of marriage, the couple has given birth to 2 daughters, Maria and Yekaterina. There are also rumors about Putin to be a wife beater. According to some sources, Putin was very much indulged into politics that he didn’t even attend the birth of his kids which is quite surprising for the country’s role model. After Spending approximately about 31 years with President Putin, Lyudmila has recently been married to a 37-year-old businessman Artur Ocheretny. Even though, there is no concrete proof of their marriage, an outburst of their marriage has surrounded the media world. There are also reports that Lyudmila has changed her surname to Ocheretny while issuing a new passport. According to a Russian anti-corruption campaigner, Alexei Navalny Lyudmila’s properties has been transferred to her new name Lyudmila Ocheretny and all her dates matches as well. Image: Lyudmila and her new husband Artur Ocheretny? 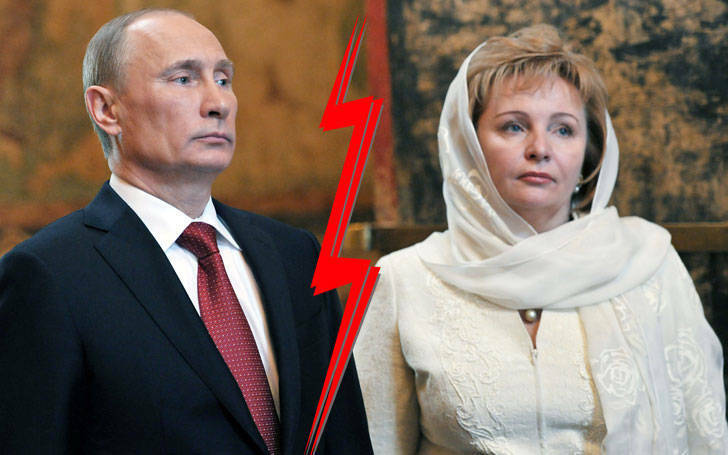 Lyudmila Putina was engaged in a matrimonial relationship with Vladimir Putin since 1983 and after living together for almost about three decades, the couple decided to call it quits. There were a lot of rumors surrounding the couple getting divorced and it was also one of the trending topics in Russian media as it was the president’s divorce. There might be various reasons for the couple's divorce while some suggest that Putin used to beat up his wife and some suggest that it was due to Putin’s affair with other women that got him in this situation. Here's a video where Putin and his wife Lyudmila are revealing reasons for their divorce. However, now the couple is divorced and Lyudmila has again married to Artur Ocheretny and the new couple seems to be happily living together. There are no news and rumors about the new couple's divorce. We wish them a very bright future and may their marriage be a successful one. What do you think about Lyudmila Putina? Please, leave your comments below.